Star Wars Day is finally here! We’ve been excited for weeks! 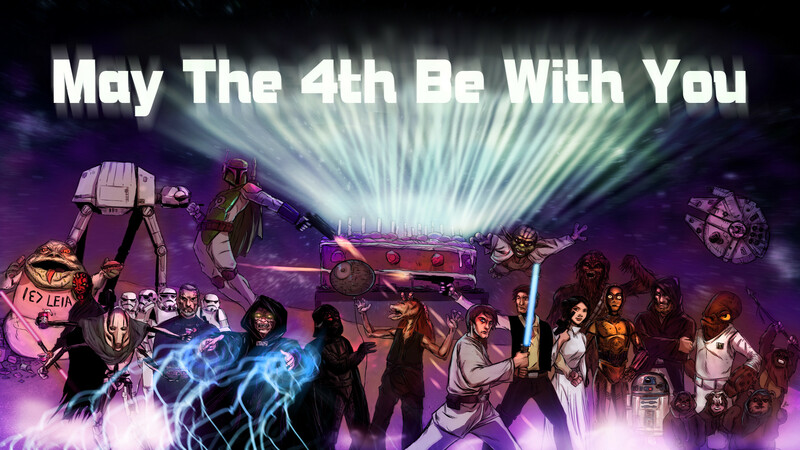 As a gift for the festivities, we created a wallpaper tribute for May the 4th be with you day. Hard work and rewarding, it was. Use it, you should. Hopefully one of the 15 different sizes works for you. If not, send us some sort of social noise somewhere. If this is your first time at this site, here’s a quick history. If you happen to be George Lucas and are considering suing us, please listen to Admiral Ackbar.